As seconds turn into minutes, minutes into hours, hours into years, years into decades...well, you get the picture. 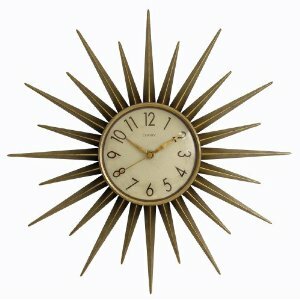 Time has a way of slipping away from us - styles change, even in timepieces, as metal replaced wood and stone, bakelite replaced metal, plastic replaced bakelite - mechanical replaced the sundial, digital replaced analogue and so on. 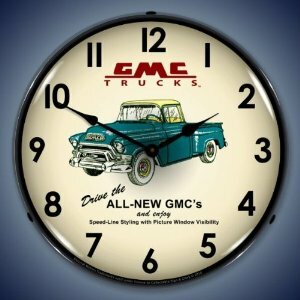 Yet many people still prefer the friendly face of an analogue clock...for one thing the moving hands crawling across divided spaces gives us a tangible view of the passage of time. For another, there is more opportunity for stylistic elements. Starburst clocks, suggestive of sun dials were very popular in the Art Deco period and again in the 1950s and came in space age metals or bright colours to compliment the modern ranch house kitchens of the era. 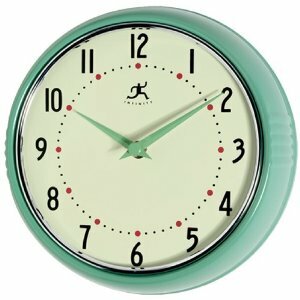 Also very popular were plain, round clocks faces in light green or black frames. 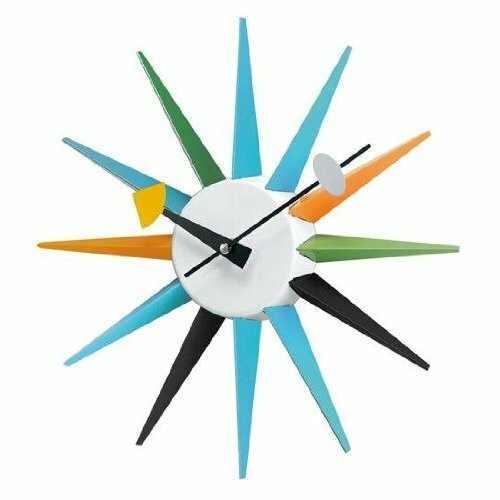 Retro charm can be captured in novelty clocks - find an iconic piece of popular culture in a clock designed as mid century gas pump or a 1930s style black Kit-Kat clock. 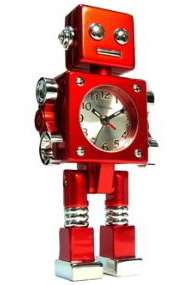 Nothing says mid-twentieth century more than a retro robot. The first toy robot, Liliput was created in the 1930s/40s by a Japanese toy company called KT but it wasn't until the 1950s that robot toys were reproduced in the thousands, becoming, in the process, an emblem of the atomic age. 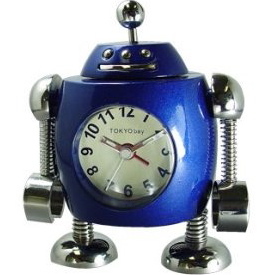 These very cool robot clocks combine function and nostalgia into one desirable object for retro fans.